After a decade of experiencing the summer joy of the world’s cultures arriving in Waynesville, a Folkmoot guide is seeking funds to travel abroad and experience some of those cultures first-hand. Heather Davidson, who together with her mom, Brenda, have worked for over a decade in the summers of Folkmoot, wants to travel to London to continue her education in elementary education and use the time abroad to seek a greater understanding of the world’s cultures – especially those in Europe. Heather, currently a student at the University of South Carolina Upstate in Spartanburg, needs the community’s help to raise enough money – $2,000 – to extend her studies at Kingston University in London. She has set up an online fund-raising page at GoFundMe.com and it’s open for contributions. 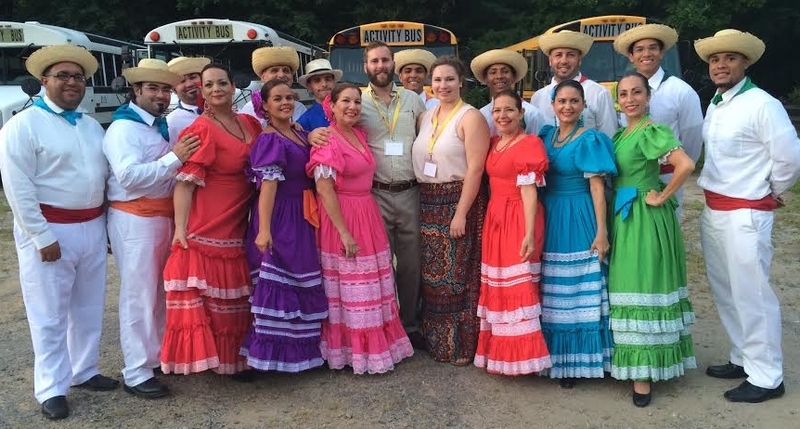 Heather has served as a Folkmoot Guide for the past two summers, in 2015 guiding and assisting Areyto, Ballet Folklorico Nacional de Puerto Rico. “I’ve realized while working with Folkmoot, that I have a strong passion for other cultures and their people,” Heather explains on her GoFundMe page. “With some extra encouragement from certain people I have pulled through and have planned this life-changing trip. Being able to study abroad will enhance my personal growth and development as well as launch my career faster. volunteers and helpers,” said Folkmoot Executive Director Angie Schwab. “They have worked in the office, helping with whatever needed to be done and, of course, Heather has been a dependable and helpful guide for the past two summers. We love and appreciate Heather and Brenda! It’s gratifying that Folkmoot made Heather eager to travel the world and learn more about other cultures. It’s very easy to donate to Heather’s campaign through the GoFundMe page and it’s safe and secure. “I hope our community will contribute to her first adventure to Europe,” Schwab said.